Want to be paid to do nothing? Have you considered government work? After Stephen Patrick, a courier for the federal government, broke the rules on driving government vehicles, his bosses tried to fire him but couldn't. During three years of bickering, Patrick has continued to draw a $47,000 annual salary without working. You’ve heard the calls all year from politicians and the public: Government needs to go on a diet. The Obama administration says it is reining in waste. Republicans itching to run Washington say they’ll rein it in more. They haven’t met Stephen Patrick. Patrick, 43, used to have one of the federal government’s more arcane jobs: driving nuclear materials around the country in unmarked convoys to support the nation’s weapons stockpile. He makes $47,000 a year. 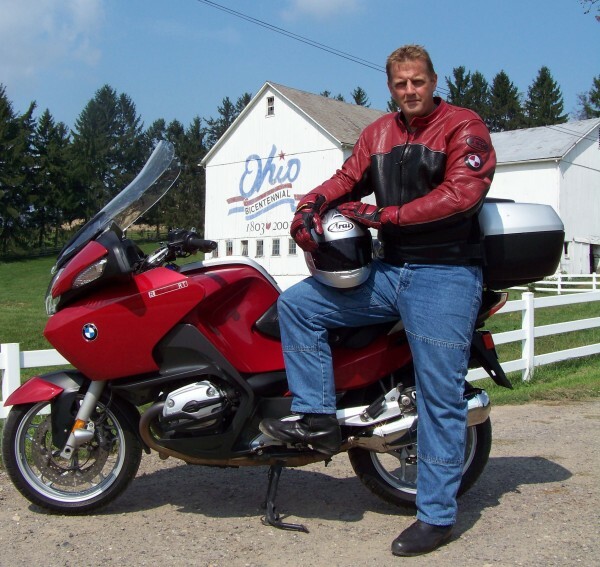 He is a former cop and Marine who rides a Harley — and does not like bureaucracies too much. After he broke the rules on driving government vehicles, he appealed a suspension, and his bosses tried to sack him. He fought back — and won. That was more than four years ago. For three of them, Patrick has been paid to sit at home or sit at a desk doing nothing. It has taken that long for his supervisors and top brass at the Energy Department to debate whether Patrick could continue in his job as a nuclear courier for the National Nuclear Security Administration. Patrick’s story is one of dizzying accusations, counteraccusations, memos and appeals — of the “absurdities encountered by Alice during her mad tumble down the rabbit hole,” as the Office of Special Counsel, which investigates federal personnel decisions, put it. Alice, of course, climbed out of the rabbit hole. Patrick might have been wrong, but his bosses’ conduct was worse, the special counsel said in a ruling in August that concluded Energy officials violated Patrick’s rights to due process. Energy officials told the special counsel that Patrick’s sensitive, high-security job justified their effort to push him out. But Secretary Steven Chu agreed to provide more protections for employees. He appealed to the Merit Systems Protection Board after telling his supervisor the trip was proper because other federal agents did the same thing. The board didn’t buy that. Around this time, he told the Energy inspector general that fellow couriers were drinking on the job, prompting an investigation. Patrick says these actions prompted his bosses to retaliate. His certification to guard nuclear materials was revoked pending a review — making it impossible for Patrick to work as a courier. A slew of psychological evaluations came next, with one contradicting the next, records show. His supervisors called him a difficult employee who had not shown remorse for misusing the car. He took his case to an appeals board in the agency — and was suspended indefinitely following agency policy. Patrick became an unpaid federal employee. He returned from his post near a nuclear site in Oak Ridge, Tenn., to his home town near Canton, Ohio, rented an apartment and enrolled in community college under the G.I. bill. His supervisors offered him $250,000 to drop his appeal and quit, according to Patrick and lawyers in the case. He refused. Joshua McConaha, spokesman for the nuclear agency, declined to comment on the offer. On his day in administrative court, Patrick’s supervisors said he had trouble dealing with stress, was arrogant and should not keep his job. But the hearing officer found “insufficient evidence” to support those claims and said he should be reinstated. Then Energy officials who were required to review the case sat on it. They had no deputy secretary to make a ruling, the special counsel said. It was eight more months before Patrick was ordered back to work. Although he’d inquired about the outcome of the hearing, Patrick had no idea during that time that he’d won his appeal. Finally, in September 2009, Deputy Secretary Daniel Poneman ordered Patrick to be recertified. After 13 months, he was back on the payroll. Patrick’s bosses interpreted the ruling to mean he had to start at square one and re-apply for certification. For five months, he collected a paycheck while he waited for his paperwork to clear. Eventually he was put on a special detail in Albuquerque to help with security training at nuclear plants. He said he sat a desk doing nothing. Hours before he was to drive to Arkansas to repeat his firearms training, he learned he would not be recertified — again. Yep, Patrick appealed — again. And, like before, he was suspended indefinitely. He would have been taken off the payroll again, but he brought the case to the special counsel’s office. Officials there asked for (and got) a stay in the case while they investigated. In August, Associate Special Counsel William Reukauf concluded that Patrick’s “lengthy indefinite suspensions” were a violation of federal personnel rules. Energy officials promised Patrick back pay. Another hearing is scheduled for Oct. 31 to determine, again, whether Patrick will be allowed to guard nuclear materials. Meanwhile, he is still in Ohio, collecting a paycheck.